I am ready for fall – cooler temperatures, less humidity, and crisp breezes. 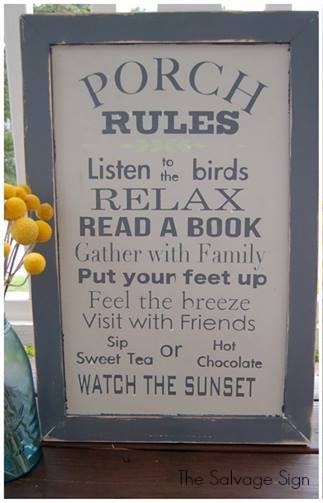 To get ready for fall, I want to spruce up my porch, so that I can enjoy the fall temperatures. Here are five easy and inexpensive ways to update your outdoor space. New outdoor pillows add pops of color to an outdoor space. 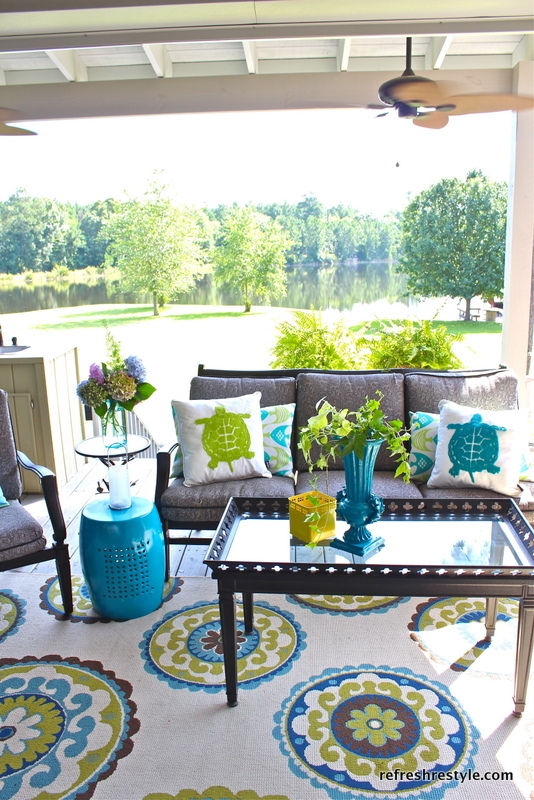 I love the color the pillows add to this porch. Outdoor pillows used to be boring and mostly beige. Now, they come in all kinds of colors and shapes. You could even make your own with outdoor fabric! 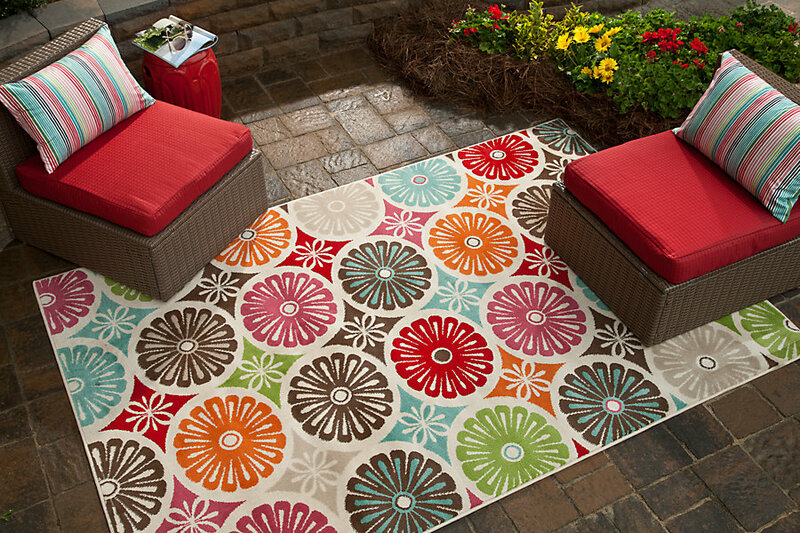 Add an outdoor rug as a platform of color for any outdoor space. Outdoor rugs provide color and comfort underfoot. And they are easy to clean – just shake them out and spot clean them with soap and water. 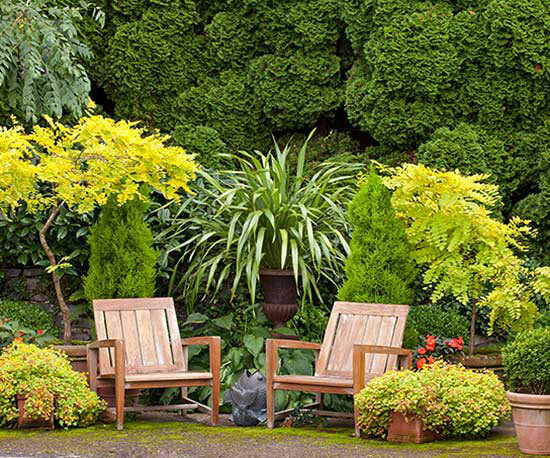 Refresh your outdoor space with new plants. Mix colors, sizes, and textures for a beautiful backdrop to your outdoor space. You don’t even need a green thumb to add plants – most landscaping stores or big home improvement stores have plants already planted in colorful planters, ready for you to take home. Sure, you’ve got plenty of light during the day, but what about at night? 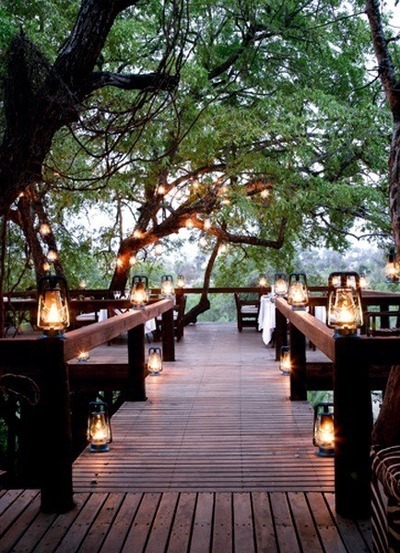 Add lighting to create a cozy outdoor space at any time of day. Lighting need not be expensive or involved, either. Just take some mason jars, add a little sand in the bottom, and add a tea light or votive. You have stylish accessories inside your home; why not add them outside as well? Try candles, lanterns, blankets, painted signs, artwork (that can survive the elements) … anything that creates that cozy feel outside, too. How are you updating your outdoor space for fall? Share in the comments below!